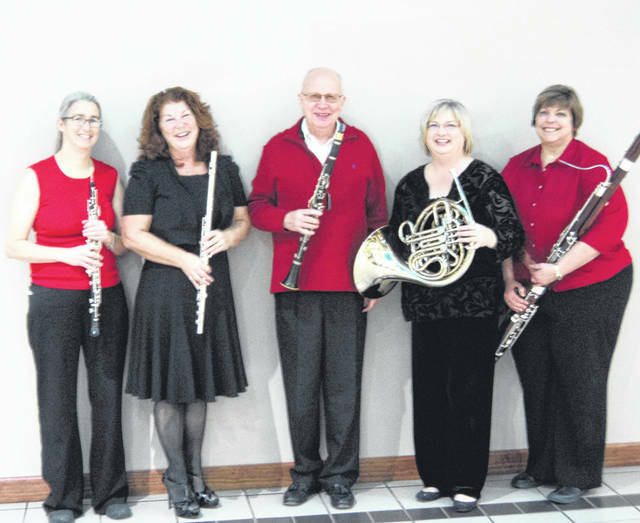 Provided photo Quintessential Winds will be among the performers at Piqua Arts Council’s free “Sounds of the Season” holiday concert on Saturday, Dec. 8, at St. James Episcopal Church. Music will begin at approximately 3:15 p.m. Provided photo Guitarist Jimmy Felts will be featured in the musical lineup at “Sounds of the Season,” a free holiday concert offered by Piqua Arts Council on Saturday, Dec. 8, at St. James Episcopal Church. PIQUA — Piqua Arts Council would like to invite everyone to join them for their free holiday concert, “Sounds of the Season,” on Saturday, Dec. 8, following Mainstreet Piqua’s Downtown Holiday Parade. Music will start at approximately 3:15 p.m. at St. James Episcopal Church in downtown Piqua. The concert will feature four or five performers from across the area, with John Simon, Audrey Jacomet, Matt Dietz and Quintessential Winds to perform. Quintessential Winds is made up of Tamela Tennison, Dr. Mike Houser, Deb Powers, Julie Swank and Linda Reitman. These classically trained musicians enjoy performing music with intimate poignancy, bold drama and bubbling humor! They are a woodwind quintet (flute, oboe, clarinet, French horn, bassoon), established in 2011, offering a wide range of programs to satisfy diverse audiences. Tami Tennison, the flutist, is the owner of Music Resource Group and “Tennison Family Farm” (organic farmer/wine maker). She is the president and a member of Piqua Civic Band, Sidney Civic Band, Greenville Municipal Concert Band, 2-4-U Winds, Mystic Winds in addition to Quintessential Winds. On oboe, Deb Powers, is a physics instructor at University of Dayton. She studies oboe with Eileen Whalen and she is a member of Yellow Springs Community Orchestra, Wright State Symphony Orchestra and Miami Valley Symphony Orchestra. Dr. Michael Houser plays clarinet for Quintessential Winds. Originally from Piqua, he returned in 2002 after a 33-year career overseas with DoDEA. He is currently an adjunct instructor at Edison State Community College and Sinclair Community College, as well as an online facilitator for PBS TeacherLine. He is a member of Piqua Civic Band, Troy Civic Band, Sidney Civic Band, Greenville Municipal Concert Band, 2-4-U Winds and Mystic Winds, in addition to Quintessential Winds. Houser also plays for several pit orchestras in the area for various musicals and Yellow Springs Chamber Orchestra for Mahler’s Symphony #1 at Antioch University. French horn player Julie Swank has taught music at all levels from pre-K to master’s level. She currently teaches band and choir with grades 7-8 at Northmont Middle School, near Dayton. She is a graduate of Capital University and the University of Dayton with a Kodaly certificate from the Kodaly Center at Capital. She is a past president of MKMEA and has served as the presenter and guest conductor at workshops and conferences throughout the United States. Linda Reitman is the bassoonist for Quintessential Winds. She is a librarian at the Centerville Library. She plays with the Miami Valley Symphony Orchestra, Piqua Civic Band, Mystic Winds and the Quantz Trio. Quintessential Winds will be playing for about 15 minutes during the concert, along with all of the other wonderful performers, which also will include Piqua musician Jimmy Felts. Felts has been performing around the area for more than 40 years. A talented guitarist, he recently was awarded a grant from the Miami County Artist Opportunity Grants to continue publishing CDs of his music. Felts started playing guitar at 8 years old after seeing Elvis, but he didn’t become serious until “The Ed Sullivan Show” featured the Beatles when he was 12. It was at that point that Felts joined a band and started to perform publicly. By the time he was 16 years old, he had started playing in a blues bands, and by 21, he was playing six nights a week in dance bands while studying jazz and classical guitar during the days. Following the “Sounds of the Season” concert, St. James Episcopal Church will be hosting a reception with cookies and punch. https://www.dailycall.com/wp-content/uploads/sites/30/2018/11/web1_QuintWinds.jpgProvided photo Quintessential Winds will be among the performers at Piqua Arts Council’s free “Sounds of the Season” holiday concert on Saturday, Dec. 8, at St. James Episcopal Church. 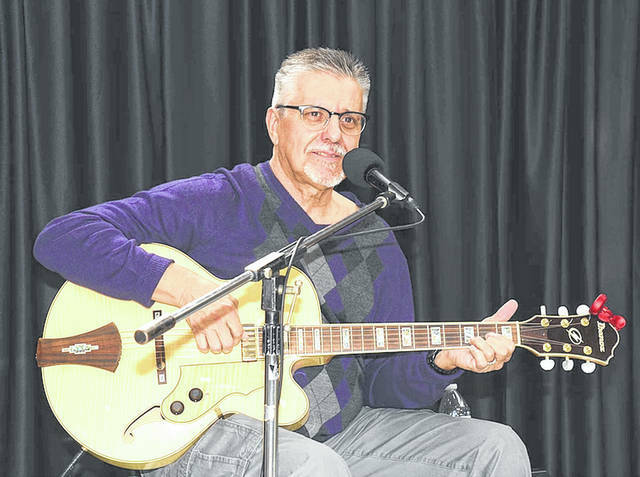 Music will begin at approximately 3:15 p.m.
https://www.dailycall.com/wp-content/uploads/sites/30/2018/11/web1_Jimmy-Felts.jpgProvided photo Guitarist Jimmy Felts will be featured in the musical lineup at “Sounds of the Season,” a free holiday concert offered by Piqua Arts Council on Saturday, Dec. 8, at St. James Episcopal Church.